The Forum module is used as a bulletin board to host discussions on various topics. As a Community Manager, you can create new forums and add new topics in these forums to which the users can reply. 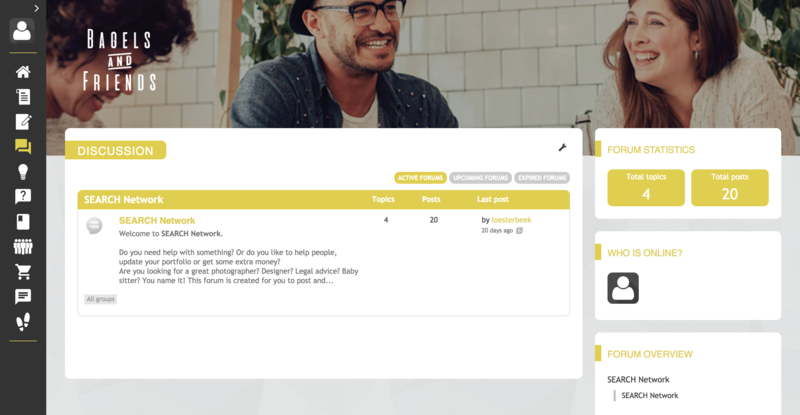 You can also enable the users to create topics themselves when you find it useful for the purpose of your community. Underneath Modules at the left menu, choose Forum. At Allow Reporting, you can turn the ON/OFF switch. When you turn it on, all forum topics and forum comments can be reported. When members reported some content, all community managers will receive an email notification. If you’d like to have the ability to link directly to a particular forum post, turn ON the ‘Number Post’ option. It’ll give all the posts a number, containing a permalink to share with others. Within forum settings, you can enable/disable liking of forum topics and posts. When this is turned on, users are capable of liking forum posts and forum topics within that particular forum.